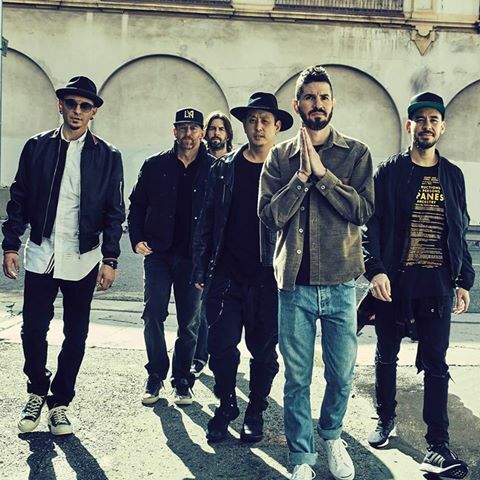 Linkin Park have picked up three nominations for the 2018 edition of the Billboard Music Awards. The band’s 2017 album, “One More Light”, is in the running for “Top Rock Album” against projects by Imagine Dragons (“Evolve”), Panic! At The Disco (“Death Of A Bachelor”), Portugal. The Man (“Woodstock”) and U2 (“Songs Of Experience”). The group’s seventh album debuted at No. 1 on the US Billboard 200 upon its release last spring. The project’s lead single, “Heavy” featuring Kiiara, will compete at the annual Billboard event in the “Top Rock Song” category alongside tracks by Portugal. The Man. and The Revivalists and two tunes by Imagine Dragons. The 2018 Billboard Music Awards will broadcast live from Las Vegas, NV on Sunday, May 20 via the NBC-TV network. The group hosted a tribute concert in honor of their late singer at the Hollywood Bowl on October 27, where they were joined by members of Avenged Sevenfold, Bring Me The Horizon, Blink-182, Sum 41 and System Of A Down, among others. Last December, the band released the “One More Light Live” package to commemorate their final tour with Bennington.